Professional Window Cleaning company, We are passionate about leaving you with a great experience that makes your life more simple not complicated! Lions Share Maintenance is locally owned and operated in Saint Paul, MN. Since we opened our doors, we’ve treated every customer like a part of our family. Other companies may offer similar services, but our services are the best--and come with a personal touch. Let us show you what we mean by taking advantage of one of our specials that include combinations of Window Cleaning, Gutter Cleaning, and Surface Cleaning. We hope you are our next satisfied customer. We don't leave until you are completely happy with our service. 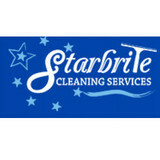 StarBrite Cleaning Services was founded by President Patrick Schaefer. After years of working for countless other service companies who performed poorly and at higher prices revealed a niche that needed to be filled. In 1988 he founded Starbrite. The company based it’s reputation and success on the principals of high quality work and professionalism at fair prices. Twenty years later the company has grown larger but stuck to it’s roots as family owned and operated business. We now offer window cleaning, deck and fence maintenance, gutter cleaning, siding cleaning and pressure washing. 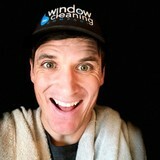 The Window Cleaning Company has 3 locations Minneapolis, Brainerd Lakes & Kansas City. We have 15 years of experience and we love cleaning windows. We are very passionate about doing things well and our customers notice that in our work. Here at ACME Window Cleaning we know how hectic your schedule can be. We will make scheduling a breeze for you, we can make our schedule fit yours. Our office is staffed Monday through Friday, and is always willing to help. Our Journeyman Window Cleaners are very professional, and pride themselves in their work. They will come to the job in uniform and with all the right equipment. Metro Wide Maintenance provides fast, reliable window cleaning at an affordable cost. Our technicians are careful and courteous with ample experience in every setting. We guarantee to leave your windows streak-free! All types of window cleaning since 1993! Founded on Integrity, and a hard work ethic, Clarus Windows provides a top quality window cleaning service to residential and commercial properties all over the Twin Cities. With years of window cleaning experience, Clarus Windows is equipped to handle any of your window cleaning needs at an affordable, and reasonable price. TC Window Cleaning specializes in residential services for homeowners across the Metro. Since 2007 TC Window Cleaning has been providing high quality services for homeowners in the Twin Cities Metro area. These include window cleaning, gutter clearing, pressure and soft washing, as well as deck washing. TC Window Cleaning offers highly trained individuals who have gone through extensive background checks. You can rest assured knowing your home is in good hands. It’s simple: our company is committed to bringing you first class service in a fast, detailed and professional manner. Our friendly uniformed staff, will be courteous and take great care of your property. We use the best tools and are always looking to improve our techniques and training. At ARC Window Cleaning & Building Maintenance, our professional staff specializes in residential and commercial services throughout the Minneapolis and St. Paul area. Our work includes window washing, ice dam removal and ice dam prevention using deicing systems, gutter cleaning or repairs, & full-service cleaning, and pressure/power washing. As an owner of a home or business, it is extremely important to maintain your property and mitigate risks to your safety and the safety of those around you. With the winter months upon us, it is especially crucial to maintain the exterior of your house or workplace. Don’t wait until water damage causes costly repairs for you. Our experienced staff provide swift, friendly service using only quality products. We will provide you with a free estimate and communicate with you throughout the entire process.